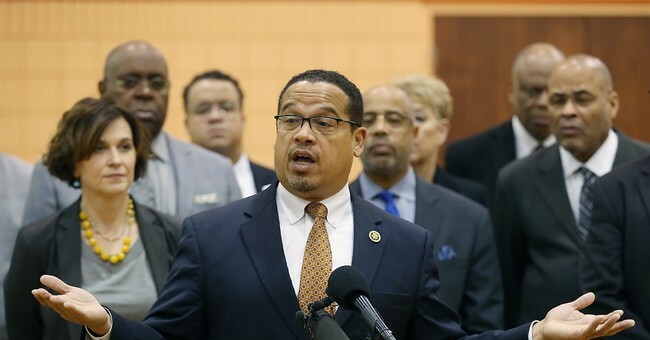 Civil War: How Long Will DNC Co-Chair Ellison Stick Around? It’s hard to overstate the scale of his task. The DNC has become every frustrated Democrat’s favorite piñata, and a symbol of everything that went wrong in 2016. Sanders-Clinton hostilities have taken on a new form: The tension now is over whether Sanders should hand over his massive voter list to the committee, as Perez has asked, and whether the committee has gone far enough to overhaul internal rules that Sanders forces are convinced rigged the nomination for Clinton. Neither side is satisfied, and words like “crazy,” “still doesn’t get it” and, in one case, “Judas” are tossed around to describe people in the opposite camp. Several members of the Democratic National Committee slammed Chairman Tom Perez’s Thursday endorsement of New York Gov. Andrew Cuomo, a two-term incumbent fending off a major left-wing primary challenge. The members, who said Perez had neglected to inform them of the decision, argued that it would undermine efforts to earn the trust of progressives, young voters and independents already suspicious of the DNC for its role in the 2016 presidential primary. “I was like, ‘Is he crazy?’ What does he think the response is going to be from progressives who already had doubts about the DNC?” said Yasmine Taeb, a Virginia Democratic National Committeewoman. “Every misstep like this results in us having to spend a lot of time cleaning up the mess and repairing bridges and rebuilding trust,” the official said. Perez’s endorsement of Cuomo was “personal” and not a reflection of the DNC’s preference, according to Xochitl Hinojosa, his chief spokeswoman at the DNC. After the 2016 debacle, it isn’t just stupid to see a DNC Chair weighing in on a primary, it’s a wholly unnecessary, destructive move that injures something @TheDemocrats still desperately need: The trust of the party’s grassroots base. Now, there are petitions calling on Perez to resign, while other Democrats are just perplexed over this move. So, will Ellison resign? It remains unclear, but what does he gain by staying there? The DNC has gone through two overhauls, they’ve fired their top fundraiser, and they still can’t get the books balanced or a message uniformly disseminated. It’s a mess—exacerbated by the ongoing civil war within the Democratic Party. Say what you will about the GOP’s troubles, their fight is over. Trump won when he signed the tax reform package into law last December. For the Democrats, the Sanders-Clinton feud is still raw.